An art exhibition usually takes place in a gallery, where you go to see work that’s been installed there for a few months. But what if you could see an exhibition unfold over space and time, while speeding along the freeway in your car? 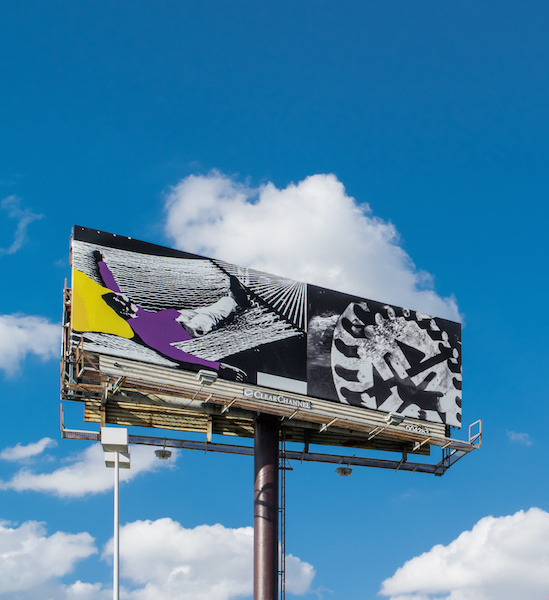 The Manifest Destiny Billboard Project, conceived of by L.A.-based visual artist Zoe Crosher and co-curated with Los Angeles Nomadic Division (LAND), answered that question with a series of about 100 billboards by 10 artists installed along the I-10 Freeway—from Florida to California.